France's foreign minister has taken time out from dealing with some of the world's more heavyweight issues to announce he is backing a plan to help France get more visitors, pinpointing wine tourism as a key area. France is one of the most popular holiday destinations in the world, attracting close to 84m tourists every year. French foreign minister Laurent Fabius announced yesterday (11 June) that he wants that number to rise to 100m by 2020. Wine tourism is one of the best ways to achieve that, the French foreign office believes, as the country approaches the summer peak season. During a news conference to reveal a range of new initiatives, Fabius told journalists that many of France’s beautiful wine regions, such as Bordeaux, Burgundy, Champagne and Languedoc Rousillon, remain ‘under visited’, according to a report from the press conference by Associated Press. Many French chateaux and wineries have made efforts to improve their wine tourism offering in recent years, whether by opening restaurants at their estates or building gites on their land. 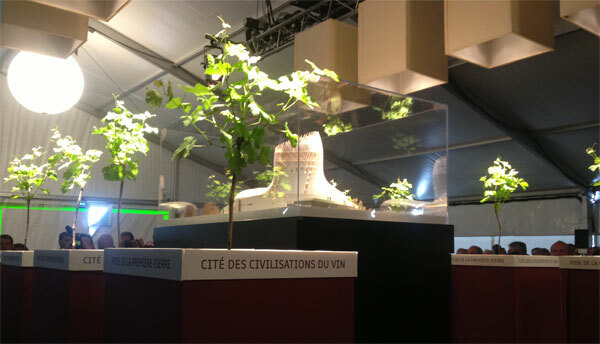 Bordeaux is next year set to welcome a new wine cultural centre, named the Cite des Civilisations du Vin, following years of planning and despite the project requiring millions of extra euros to be finished. How the Cite des Civilisations du Vin is set to look on the inside. Fabius said that extra funding would be available for tourism projects, although he didn’t specify how much. France is to hold a national tourism conference in October. The foreign minister also alluded to the need to improve the image of France as a welcoming nation for tourists. There is to be a major publicity campaign to promote the ‘hospitality of the French people’, the foreign office announced. Heads are finally turning towards this tiny region, home to weird and wonderful wines, famed Comté cheese and picturesque scenery.